Fatal car accidents present a terrible tragedy to the families of the victims. If you have lost a loved one in a fatal car accident in Chicago, you are most likely dealing with tremendous emotional turmoil and most likely financial struggles as well. Although we cannot undo the tragedy you have been made to endure, we can help you obtain compensation and a measure of justice in the situation, so that you can begin recovering and moving on. With more than 30 years of experience and more than $2 BILLION in verdicts and settlements won for our clients, we can handle your wrongful death case with compassion, integrity and skill. Call Goldberg Weisman Cairo at 1-312-464-1234 for your 100% free consultation. We have been handling cases involving car accidents in Illinois for more than 30 years. If you do decide to bring a claim, early intervention helps us prepare your case by preserving evidence and witness testimony, and beginning the accident reconstruction. Losing a loved one due to someone else’s negligent driving is devastating. At GWC, we can help you obtain the compensation you need. We have a network of attorneys, investigators, forensic experts, accident reconstructionists and medical experts who help us present winning cases for our clients. As the largest personal injury and workers’ compensation law firm in Illinois, we have the resources needed to handle even the most complex fatal auto accident litigation. 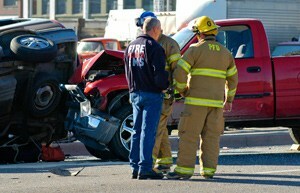 Need Help With A Fatal Car Accident Lawsuit? At the law offices of Goldberg Weisman Cairo, we have been helping injured motorists to fight for the justice that they deserve for more than three decades. Our lawyers have the experience to help build a robust argument for your MAXIMUM damages lawsuit and the determination to fully litigate your claim. Take control. Call 1-312-464-1234 or contact us online by filling out and sending our “Free Case Evaluation” form to schedule a free initial consultation. At GWC we only get paid when we obtain a recovery on your behalf.